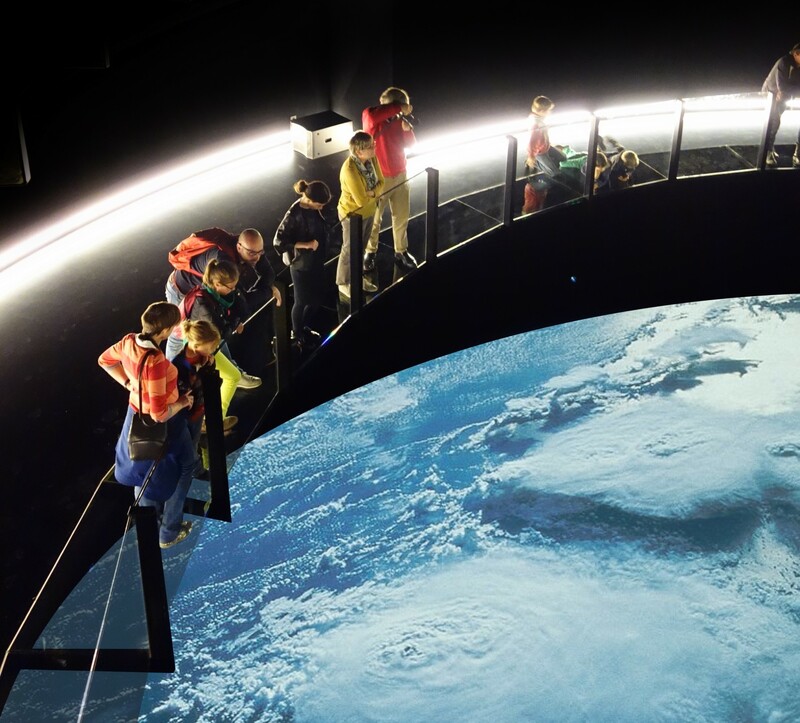 Columbus, one of the three public attractions of Museumplein Limburg, is a visualization machine for Planet Earth. The main message of the shows concerns the limits and the vulnerability of our home planet, its uniqueness, beauty and above all, its irreplaceableness. In the tradition of architecture parlante, it is housed in an ostensibly perfect volume: a sphere, half above ground and half underground. 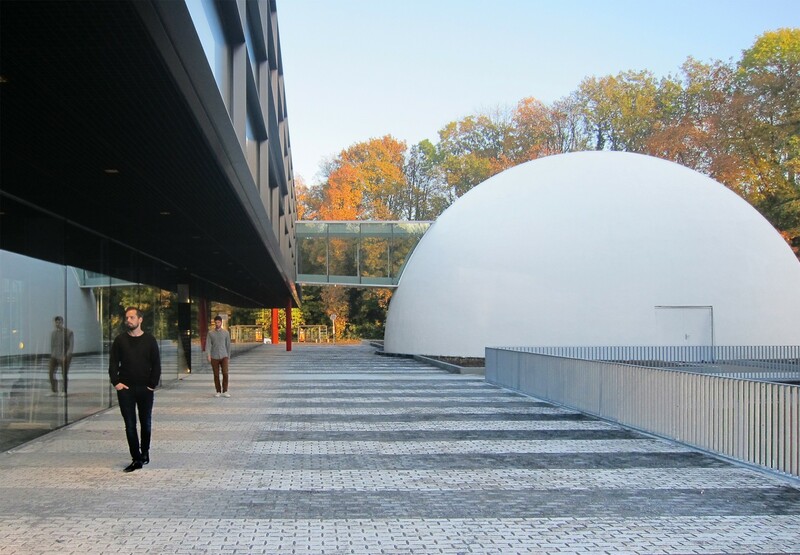 The spherical design draws inspiration from several visionary proposals in which the sphere stands symbol for the immensity, the sublime, the future, inclusiveness, shared experience and responsibility. 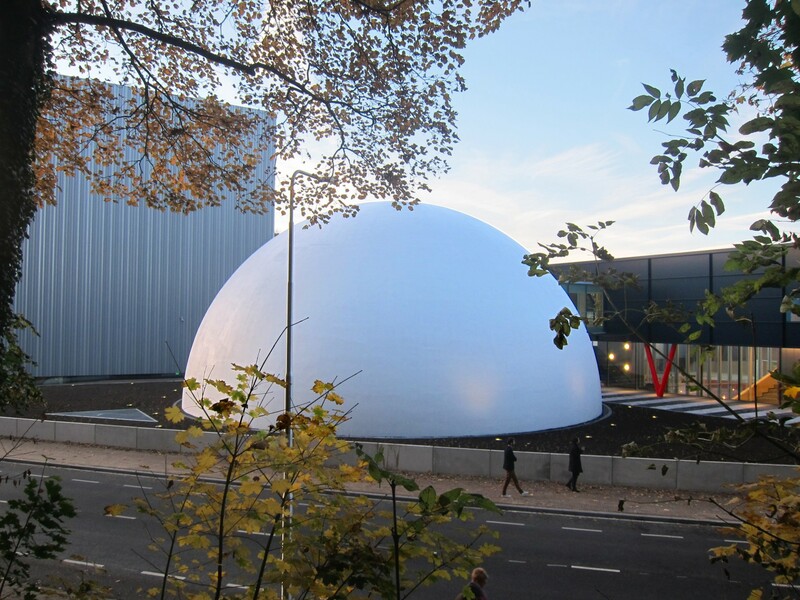 The lower half of the sphere accommodates the Earth Theatre, equipped with a spectacular – 16-meter wide and 9 meters deep – hollow projection sphere which can be viewed from two rings of glass balconies. 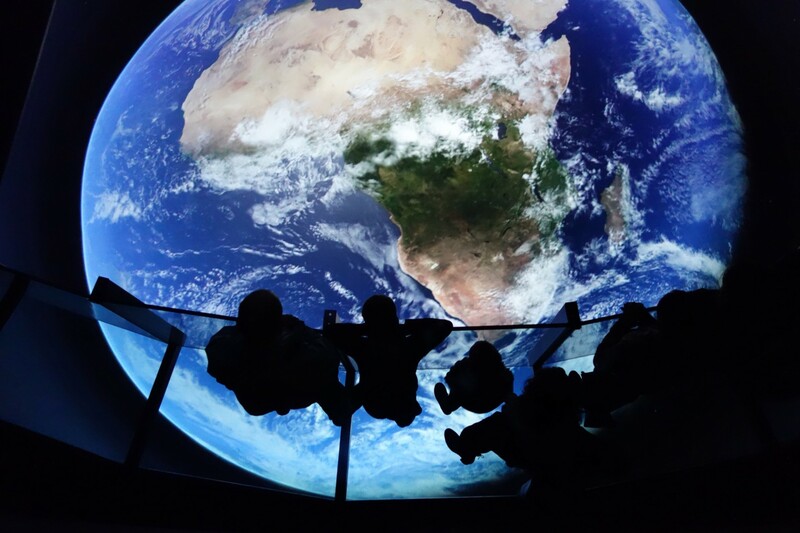 This first built inverted planetarium offers visitors the experience of an astronaut looking back towards planet earth, featuring the effects of human inhabitation on Earth. Besides pre-programmed movies which project the reality as seen from above, the theater is designed for the visualization of big data. In the near future, with a projection system operating in real-time, the users will be able to navigate through a predefined database to view and interact with future scenarios regarding the development of our cities, regions and the planet. 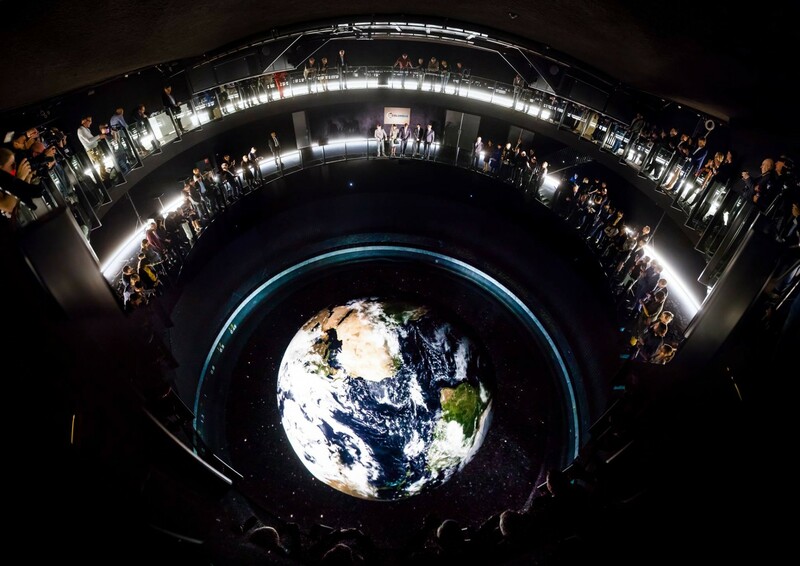 The sheer scale and dramatic setting of the Earth Theater will enhance the perception intensity and understanding of the visualized big data. The theater becomes a machine providing people the unprecedented power to understand, analyze and make decisions about, and thereby ultimately change the world we live in. The upper half of the Columbus Sphere, underneath the dome, is occupied by a circular auditorium. 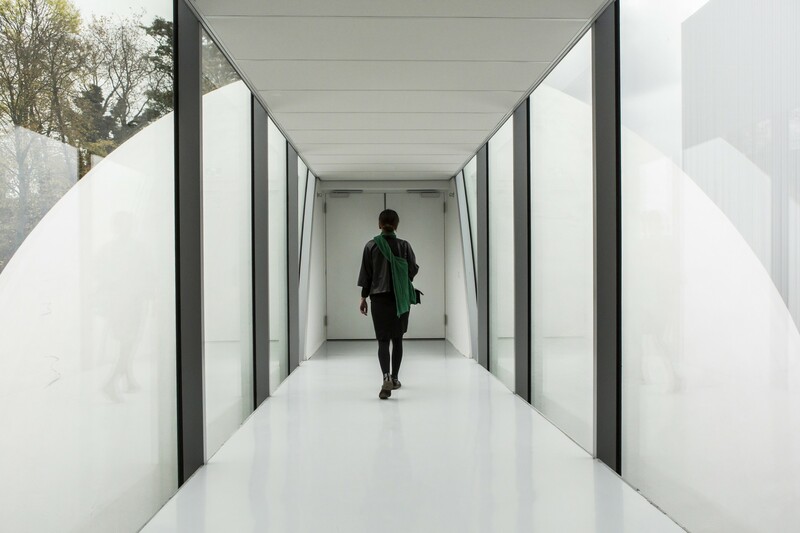 It can be reached by a glass bridge from the entrance hall via the Beam building or through an internal stair that descends into the Earth Theater. 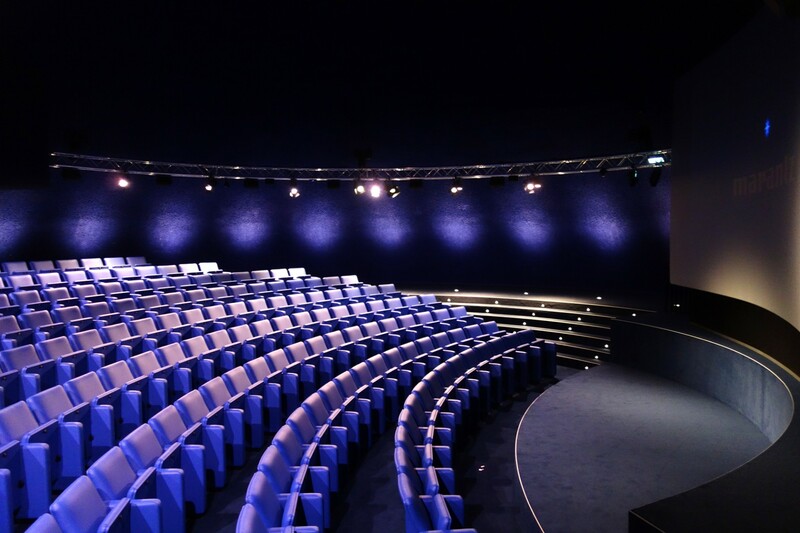 The auditorium functions independently for lectures and conferences and as a National Geographic 3D cinema or in combination with the Earth Theater, as a platform for dialog and debate after the visualizing experience in the inverted planetarium. Columbus’ cupola is made of two shells of shotcrete. The concrete was sprayed on a permanent geodesic scaffolding filled in with triangular plates of EPS isolation. The seamlessness of the shotcrete skin emphasizes the absolute form and its density guarantees sound insulation from the loud shows inside.